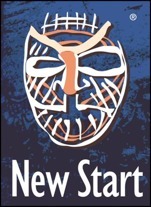 Newstart was founded in 1992 as Sweden's first career consulting company. We were pioneers in Sweden to develop a structured methodology for career coaching and offering "individual career counselling to all". Founders of the company were Charlotte Hågård and Frances Broman. The inspiration for the services and methodology came from Australia, where an early collaboration with the pioneer and career guru Paul Stevens gave us a flying start. In 2002 Charlotte Hågård and Peter Cederqvist began to work together and founded New Start No. 2 that we called Newstart Nordic Career Management. Today we call ourselves Newstart for short. Over the years we have had the privilege to work as a partner to many organizations at various change processes. We have extensive experience in both the development and settlement, and over 50 000 individuals, employees and managers have used our methodology either individually or in group programs. This makes us one of Sweden's most experienced career consulting firms. Newstart Publishing was founded in 1993 as a platform to publish interesting literature in the career development area. At the time the market in this book genre was rare even in Sweden. 1998 we started School for Counsellors - the first career counselling training in Scandinavia. Many companies became interested to learn more about what we did and at our first training we had staff from seven of Sweden's largest companies. 2003 we established the Career Coach Academy - Sweden's largest organizer of career coaching- and methodology courses in the area.